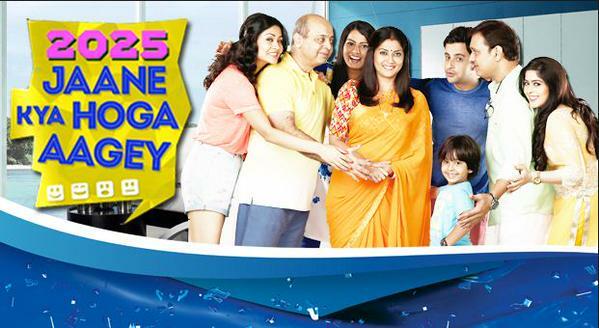 Sony Entertainment Television has announced the launch of its first futuristic comedy show titled ‘2025 Jaane Kya Hoga Aagey’. The show aims to give a sneak peek into life a decade from now, in a light-hearted way.it will explore the lifestyle and daily struggles of human beings overpowered by technology in a humorous way. Vipul Shah from Optimystix Productions is producing this new Sony Tv Show.Optimystix Productions that has made its mark with shows like Comedy Circus, Crime Patrol, Baal Veer, Saas Bina Sasural and many more is all set to launch its next on Sony Entertainment Television. 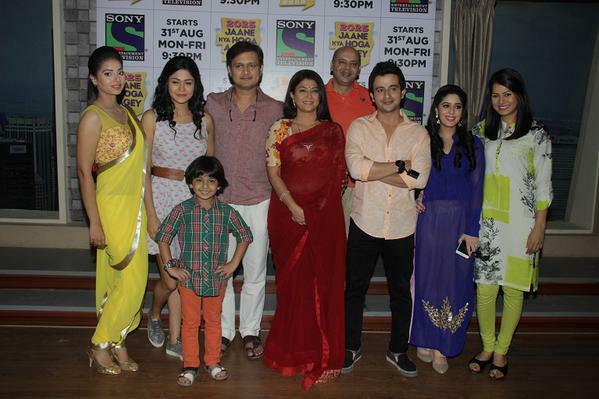 Set in 2025, the show revolves around the Joshi family, who are based in Mumbai. Each member of the family is eccentric and this is what makes it a mad house. Naisha (Sanyukta Timsina), the daughter of the family, is a computer genius. After her mother Ganga’s (Lubna Salim) untimely demise, her father Inder (Sunil Barve) misses her terribly. The entire Joshi family is not able to get over her death. So Naisha decides to bring an end to their misery. She uses technology to bring her back to life by creating a 3D hologram of her mother. With the technological rebirth of Ganga, the family struggles to deal with the sudden changes that life has to offer. Adding to the fun quotient is the eldest member of the family, Dadaji (Kenny Desai), who is the youngest at heart. He is completely techno-savvy and is often seen replacing his old body parts with new ones. Naisha’s brother, Naveen (Akhlaque Khan) often referred to as Nano, is crazy about nano technology. His obsession leads him to invent an additional hand which does all his chores. Adding spice to the story is the maid, Monica (Clair Monica), who prefers the term ‘Domestic Help’ and comes with a high price tag, lots of attitude and never ending demands. Show Name :- "2025 Jaane Kya Hoga Aage"